Now this is a beautiful way to use a Kickstarter reward. Like a lot of PC games these days, the super-cool PC space sim Elite: Dangerous was made possible by a Kickstarter campaign. 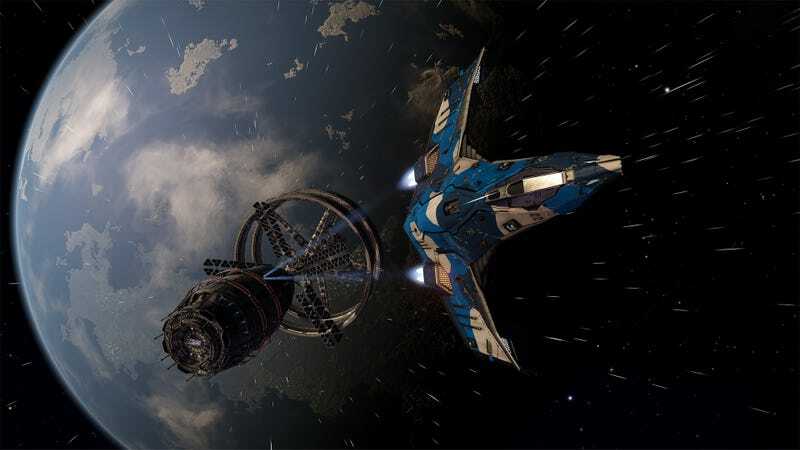 As one of Frontier Games' Kickstarter rewards, backers were allowed to add their names to the game's pilot database, which would mean that one of the NPC pilots players encounter around the galaxy would bear the backer's name. Sounds pretty standard, until you hear how some Elite backers are using the system. "My father died [in] 2011," player Caiburn wrote on the game's official forums. "When Frontier offered Backers to add NPC names to the name database, I added his name. Today while exploring an anarchy system, I ran into a random Viper and scanned it. It was his name, dangerous and clean. Dad, hope to see you again out there." The resulting thread is really great, full of people remembering their own lost loved ones, and others talking about how they've also memorialized family members in the game. "My brother died in 2012," writes one user. "He's in the game too." "Already the game is giving people memories," writes another. "Did the same thing for our son." While this isn't the first time gamers have immortalized loved ones in this kind of way, there's something particularly beautiful (and sad) about the idea of playing Elite and suddenly seeing your father's starship, out on one last sortie to the great beyond.